One thing I see a lot on audio forums is a person saying something like “I have all my songs mastered in my DAW (Logic/Pro Tools/Cubase etc. ), now I just need to sequence them and convert to 16-bit/44.1k” for digital distribution and CD production. I’m a firm believer that your project isn’t fully “mastered” until it’s production and/or distribution ready without any further processing or changes. Using an audio editor/DAW with mastering focused features will make things like this much easier for you, save time, and improve results. Not so much sonically, but in the quality control department for sure. 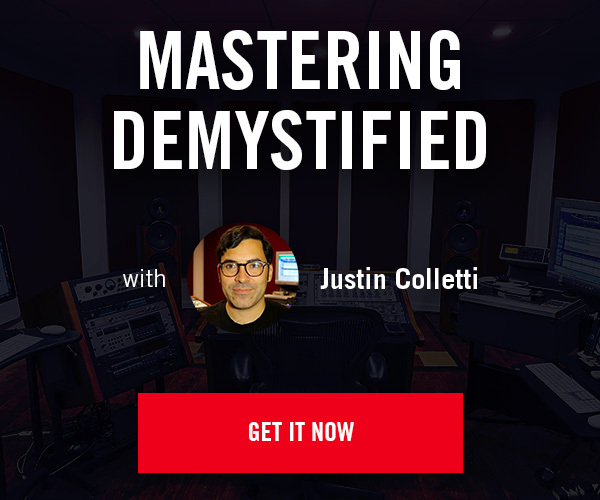 There are many portions of the mastering workflow that can be done in any DAW really, but finalizing your project in an audio editor/mastering DAW that is specifically designed for mastering will not only save you time, but it will likely produce better results, and provide consistency between all the various master formats that are required these days. These various master formats are typically a DDP image or physical CD-R for CD production, 16-bit/44.1k WAV files for basic digital distribution, and 24-bit/high sample rate WAV files for distribution via websites like Bandcamp, SoundCloud, as well as the Mastered For iTunes program. TIDAL and some others are also rolling out 24-bit/high sample rate streaming. You also may need to produce a vinyl pre-master, cassette pre-master, instrumental album master, and reference mp3 files which are sometimes also needed for download code cards that accompany vinyl and cassette releases nowadays. Reference mp3s can also include metadata and artwork which a mastering DAW can easily add automatically instead of managing this with another app for each project which can be too time-consuming. If you’re serious about your project, it’s very important that the spacing between the songs and the heads and tails of each song/track remain totally consistent from format to format. 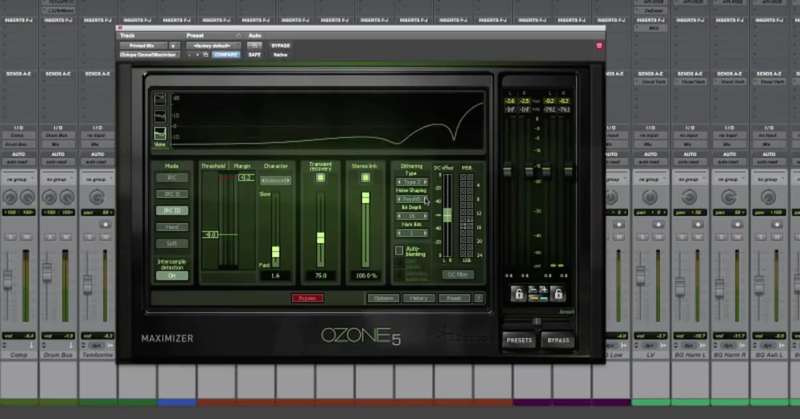 Without a true mastering DAW, this can very easily get complicated and messy. I do a lot of work for a major CD manufacturing broker. These projects usually involve assembling DDP images from individual WAV files that their clients send them claiming to be already mastered. Normally I do not touch the audio sonically, I just assemble the songs and create a DDP image for CD production. Many people don’t realize that individual 16-bit/44.1k WAV files are not a CD production ready format. Either a DDP image or CD-R master is needed. When I’m doing these kinds of jobs, I see all sorts of problematic files as well. Some people will send 48k (or higher) WAV files, some files have undetected sounds or noises before or after songs due to inattentive listening or poor analyzation before sending them in. Sometimes files will be hitting or exceeding 0dBFS which can result in some nasty sounds/artifacts and audible distortion down the line with playback on cheap systems and inevitable mp3 or AAC encoding. Some clients are unsure if they need or want extra time added between songs, and some even ask for fade-outs. In these cases, the files they considered “mastered” are far from a final master. Doing any additional fades on a 16-bit WAV will introduce floating point audio again and either require additional dithering or result in truncated bits. Neither are ideal. Not only that, if they need any of the alternate formats I mentioned earlier, it becomes a virtually impossible task in some scenarios, or at least a logistical nightmare. I’m a big advocate of DDP images as CD production masters for many reasons but sometimes a CD-R master is needed for smaller duplication jobs. Thankfully, it’s becoming a rarity to actually burn a CD these days though. Burning the master CD-R with a trusted CD writer and media is strongly recommended. A common trusted combo is a Plextor Premium CD writer and Taiyo Yuden (now JVC) CD-R discs. Then, the intended master CD-R is ideally checked with Plextools software for errors (Windows only). Although it’s been a few years now since I had a problematic burn, it’s the mastering engineer’s duty to test a physical CD-R for errors before it’s used for CD production. A dedicated audio editor/mastering DAW allows you to lay out and sequence your project (using 32-bit float or 24-bit/high sample rate files) whether it’s one song or a full-length album, non-destructively trim and clean up the heads and tails of songs, apply any short or long fade ins/outs, crossfade or overlap any songs if necessary and precisely determine where the track IDs are, apply plugins to certain songs, parts of songs, and across the entire album which is usually useful for limiting and dithering processes. Once everything is dialed in, you can easily render all the various master files you may need, and be confident that all the things that need to remain the same between all formats will remain the same. These are things like spacing between songs, fades, crossfades, titles, metadata etc. Sample rate conversions also come into play if you are working at sample rates above 44.1k. Many mastering engineers agree that processing audio (both “in the box” and via analog gear) sounds better at higher sample rates. If I receive files from a client that are at 44.1k or 48k, I’ll usually upsample them to 96k before working. At some point I must return to 44.1k for DDP (or CD-R) masters, and 16-bit/44.1k WAV masters for digital distribution. A high-quality sample rate conversion software is recommended as opposed to using the sample rate conversion within your traditional multitrack DAW. I actually use REAPER (not a traditional mastering DAW) for the first stage of my mastering process. REAPER is highly customizable and saves me so much time compared to doing this in any other DAW I’ve previously used. This involves some light to medium plugin processing before sending the audio out to my analog equipment which is usually an analog EQ (or two) followed by an analog compressor that feeds back into my analog-to-digital converter. This is all done at either 88.2k or 96k sample rate (depending on the source files I receive) because as mentioned before, I feel that plugins and my analog chain perform better at these higher sample rates. Now and then I get a project in at 192k sample rate so in this case, I do the initial pressing at 192k as well and go down from there as needed. Once all the songs are captured, trimmed up, and properly named, I export them from REAPER using defined start/end points which comes in handy in the case of when new mixes are sent to me, or I have to redo any work in the analog domain. Then I load the files into WaveLab for final assembly and processing. This is where I usually apply my final limiter which is usually doing no more than 2 or 3 dB of gain increase on the limiter input. This is because I have printed the audio back into REAPER at or near the desired level but I still have some wiggle room for going louder or less loud without having to revisit the analog chain. Many mastering engineers stick to one DAW for the entire mastering process, but I personally find the scripting and flexibly of REAPER, and ability to use iZotope RX as REAPER’s primary external editor invaluable so that’s where I prefer to do the initial audio processing. It’s just a personal preference as I’ve really dialed in my REAPER workflow over the years. However, if I’m doing an entirely “in the box” mastering session, I’ll usually use WaveLab for the whole process. WaveLab can route audio to and from your analog gear but I personally find its workflow for that clunky at this time so my combo of REAPER and WaveLab compliment each other really well. When 44.1k masters are needed, I could use the sample rate conversion within WaveLab (which would be slightly easier) but I prefer using external sample rate conversion software made by Weiss (Saracon). Other good options are the iZotope Resampler found in RX, and Goodhertz (found in Myriad by Aurchitect). Aside from the sonic aspects of mastering, WaveLab allows me to very quickly populate all the CD-Text info of the project and each track, enter ISRC codes for each song, and enter the UPC/EAN (barcode) for the project itself. One huge time-saving feature that is unique to WaveLab (to my knowledge) is that all of this info can be easily transposed to metadata when I render master WAV files, or reference mp3 files including the artwork. All these seemingly small features can really save a lot of time and allow you to focus more on the music. Other mastering apps/DAWs can do this, but I think WaveLab is the most thorough and efficient at this right now. Especially when you consider the options available for both Mac and PC. Most audio editors/mastering DAWs offer similar features but some are better than others in this regard. It all depends on your workflow needs, and how you prefer to get there. I do a lot of mastering so getting the most out of my data input is important to me. I like avoiding repetitive or extra steps when it comes to data entry and file management. With WaveLab, I never have to enter in the song titles (unless there is a last minute name change or correction). The album track names for each song are populated from the source file names for each song which I already have properly named when I export files from my REAPER processing sessions. Then, that file name is populated to the track marker name and CD-Text track names automatically by WaveLab. From there, it’s auto-populated (with a preset) to the ID3 metadata for any WAV/mp3/AAC files I render. With the click of a button, rendered files can have a numerical prefix to keep them in order within a folder or file system, but the numerical prefix is not present in song title metadata, which is an important detail to me. WaveLab also automatically adds the track number/track total to the ID3 metadata so that iTunes and other audio player apps keep the songs and album in sequence. WaveLab can also easily embed the artwork into most file formats (WAV, mp3, and AAC). I could go on but I’ve done a lot of research and trial and error with mastering DAW options for MacOS. Nothing comes close to WaveLab when it comes to producing and tagging files when I need to output master files in a variety of formats with little hassle. I absolutely love how easy it is to produce thoroughly tagged files from WaveLab with minimal data input, or the need for an additional app after rendering files in WaveLab. Other potential MacOS mastering DAWs, besides WaveLab, are Triumph by Aurchitect (excellent value with a bit of a learning curve), DSP-Quattro, SoundBlade, and PreSonus Studio One. After trying all of these, I didn’t find that any of them met my needs as a “go to” daily mastering DAW. That doesn’t mean they’re not good or not right for you, just not right for me at this time. I could see using Triumph or Studio One if I only needed to master a few projects a year, but there are currently too many workflow slowdowns for daily use in my opinion. I’m not a Windows user but I hear good things about Sequoia/Samplitude, Sadie, and Pyramix. I’m personally too locked into the Apple/MacOS/iOS ecosystem to add a Windows system to my workflow but maybe sometime in the future, I can explore the Windows-only options for mastering DAWs. For whatever reason, there seem to be more options for Windows than Mac when it comes to mastering specific DAWs although the list for MacOS has grown in the last five years. Even though the first version of WaveLab for Mac was rough (version 7), I stuck with it and now I’m quite happy with version 9.5 and I’m optimistic about the future of it. 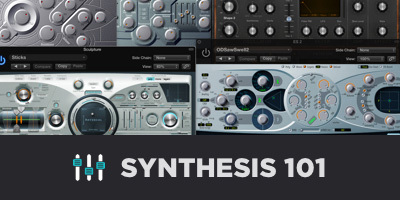 Some people may be able to get away with a simple app like Sonoris DDP Creator or HOFA CD Burn.DDP.Master but those still fall short when it comes to producing masters in a variety of formats, sample rates, bit-depths, and other variables so they’re not a complete solution like some of the previously mentioned apps. 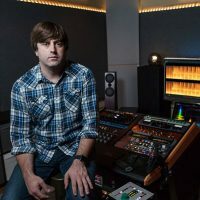 If you regularly (or even occasionally) find yourself in a situation where you need to be the mastering engineer, due to lack of budget or ability to convince the client that you’re not a full-time mastering engineer, I highly recommend using software that will work with your needs and ultimately make your job easier and final output better and more consistent. In my earlier days of music recording/engineering/production (before mastering full-time), I sometimes found myself in situations where I had to also be the mastering engineer. Looking back, getting on board with a mastering focused DAW would have made things a lot easier…and that was back when there was really only one target format, which was the audio CD. Now we have so many more target formats to consider that using something like WaveLab to produce your final masters is pretty essential in my opinion.